Our 2hr wash and wear tan contains all natural ingredients. It’s famous green formula means no chance of going orange, streaky or patchy. Our clients love how flawless and natural our Naked Tan products are. 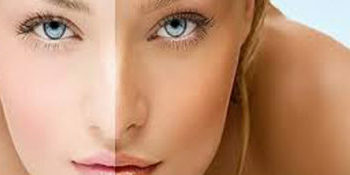 We are very well known for our gorgeous natural brown tans in Horsham and are the number one tan choice for brides. We have found that nothing compares to Naked Tan and we should know, we have been using it for years and our clients love it. Naked Tan has just brought out three new innovative tans – The world’s first 20 minute tan, a waterproof tan and a slimming tan. We welcome people of all shapes and sizes and we will make you feel very comfortable. You can also wear as little or as much underwear as you require for your tan.